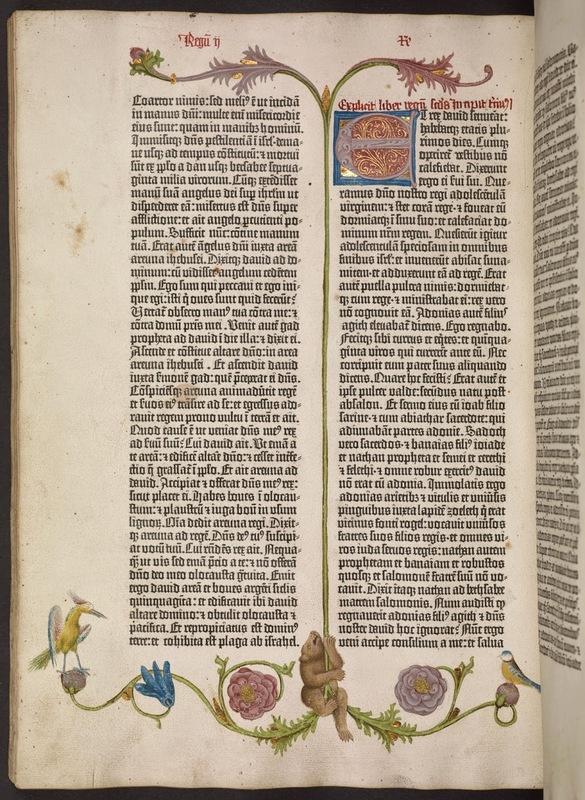 The William Schiede collection, which contains copies of the first six printed editions of the Bible, including a practically complete Gutenberg Bible (1455), as well as a host of other early printed books and manuscripts (including the NT manuscripts: 1357, 1693, lect. 1231; lect. 2305), has been donated to Princeton University (having been housed there since 1959). The Scheide Collection also includes the relatively small (w=10.4 cm, h=12.1 cm), beautifully-executed, complete (including its orginal board covers) 5th c. copy of the Gospel of Matthew in the Middle-Egyptian Coptic dialect (the "mae" in NA27).